In an effort to address the truck parking crisis, the Federal Highway Administration created the National Coalition on Truck Parking consisting of industry stakeholders. Four events were scheduled to discuss the problems. As we approach the final meeting of 2016, we’d like to share a review and the progress of Jason’s Law and the National Truck Parking Coalitions’ goals, motives, and progress. 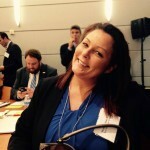 We would also like to share the follow up of what REALWomenInTrucking.org (RWIT) has embarked upon as a result of attending these meetings, as well as the valuable networking which occurred. Desiree Wood, President of REALWomenInTrucking, will be attending the final meeting this year on October 5th 2016 in Grain Valley, MO. Hope Rivenburg, crusader for Jason’s law the cornerstone for the National Truck Parking Coalition, will also be attending the final meeting. Also attending the last meeting in Dallas, Tx was Pat Hockaday of Truckers United. 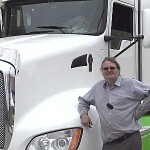 He posted his assessment of Truck Parking on Facebook, which we have included in this article also. He will also be attending the Oct 5th meeting in Missouri. First a review of Jason’s Law, Map 21, The Truck Parking Shortage, and the National Truck Parking Coalition. Truck parking shortages are a national safety concern. An inadequate supply of truck parking spaces can result in two negative consequences. First, tired truck drivers may continue to drive because they have difficulty finding a place to park for rest. Second, truck drivers may choose to park at unsafe locations, such as on the shoulder of the road, exit ramps, or vacant lots, if they are unable to locate official, available parking. Numerous public, private, academic and non-profit studies have been completed on the adequacy of truck parking, and these studies have some common findings including an expected growth in truck activity, severe shortages of parking for trucks, lack of information on truck parking opportunities, and challenges due to limited delivery windows and specific rest requirements. 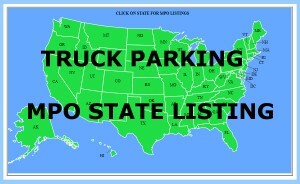 Read more for the links which provide information to the programs and activities authorized that support truck parking, as well as the reports, surveys and historical information for truck parking. Purpose The National Coalition on Truck Parking meetings aimed at identifying solutions to truck parking issues around the nation. It was created by the U.S. Department of Transportation’s Federal Highway Administration (FHWA) to address well documented shortage of truck parking across the nation. Truck parking problems are a national safety concern. Studies have documented projected growth of truck traffic on the nation’s highway system, severe truck parking problems in some regions, a lack of adequate information for truck drivers about parking capacity at existing facilities, and the challenges associated with routing and delivery requirements. With an interest in continuing the dialogue on national truck parking needs, the United States Department of Transportation (USDOT) formed a coalition of stakeholder organizations to help resolve truck parking problems. The four regional meetings bring together members of the coalition to identify strategies and approaches that address the parking needs of interstate truckers. The Jason’s Law Truck Parking Survey and Comparative Assessment was conducted by the Federal Highway Administration (FHWA) to meet the requirements of the Moving Ahead for Progress in the 21st Century (MAP- 21; P.L. 112-141) law that became effective on October 1, 2012. Desiree then created a template of the letter to send to state agencies. Letter to state agency regarding FAST ACT It is suggested to make more personal according your personal experiences. It should be obvious to everyone that when ELD’s, E-Logs on steroids, come into play our parking problems will Only INCREASE as the variances that are currently available on E-Logs will come to an end. NO MORE WIGGLE ROOM DRIVERS!!! Consider the impact that speed limiters will have. When we slow the trucks down how many MORE Trucks will be needed to haul the freight we currently haul? I have been invited to attend the last Truck Parking Coalition Listening Session in Grain Valley, MO at the OOIDA Headquarters on 10/5. Lets get a list going per topic for me to take with me. This discussion will cover the overall supply and accommodation of truck parking spaces. Key considerations for this topic include the siting and accessibility of trucking parking facilities, facility design, and the use of sites not typically used for truck parking (such as brownfield sites and weight stations) for use as potential spaces during periods of peak parking demand. This topic includes the funding of facilities and technology to accommodate trucking parking. Also, regulations and policies that affect truck parking are included under this topic. Items for discussion include funding under federal transportation authorization, other potential funding sources such as public/private partnerships and incentives for new/expanded facilities. Regulatory issues and policies, such as hours of service requirements, will also be discussed under this topic. Discussion for this topic includes the use of roadside ITS and in vehicle technology through smartphone apps or online resources for truck parking. Other items for this topic include leveraging truck parking data, ensuring inter-operability of technology applications, and sharing of information. © 2016, Allen Smith. All rights reserved. To be part of the conversation or to place any suggestions on the list you will find the discussion on Facebook at the Allen Smith page. The post date is 9/19/16. Allen is diligently working to simplify the process of contacting the regional Metropolitan Planning Organizations so that WE May Make Our Voices Heard concerning the desperate need of adequate and safe Parking. We do our jobs in service of the citizens of this nation meaning that Our Ability To Park is in fact the nations PROBLEM! OK Drivers, WE Need YOUR Help to create a list of PARKING solutions! 2. Closed rest stops and unused/closed weigh stations. 4. On ramps however are not high speed and could be widened and utilized as truck only parking. This topic includes the funding of facilities and technology to accommodate trucking parking. Also, regulations and policies that affect truck parking are included under this topic. Items for discussion include funding under federal transportation authorization, other potential funding sources such as public?private partnerships and incentives for new/expanded facilities. Regulatory issues and policies, such as hours of service requirements, will also be discussed under this topic. 1. Stop creating regulations that compile the parking problem. And as far as funding, that doesn’t stop the states or federal government for *their* pet projects. Have them steal the money for parking out of the same box as they do for studies on why the sky is blue or poop stink. 2. There is a direct correlation between drivers fatigue and the accident because the mandated HOS rules didn’t include mandated parking areas in order for the driver to remain in compliance with the law and depending from where the driver was at the time the driver ran out of hours and was mandated to take a 10 hour break. 3. I proposed that building codes apply to new industrial districts and warehouses as they do to shopping centers and apartments. Adequate parking must be provided based on the projected use of the shopping center or based on the occupancy of an apartment complex so this is nothing new. If Tax Breaks can be given to attract industry then funds ARE Available to reinforce the industry. 4. Educating the public to THEIR Need for US to operate and why they will ultimately bear the cost seems reasonable. smartphone apps or online resources for truck parking. Other items for this topic include leveraging truck parking data, ensuring interoperability of technology applications, and the sharing of information. 1. Stop creating regulations that compound the parking problem. The discussion of this topic will cover coordination with regional and local governments, and community outreach to discuss the important of truck parking. On the regional level, discussions should focus on how to integrate truck parking considerations into a Metropolitan Planning Organization’s Transportation Improvement Program. On a local level, this topic will address how to best communicate the need and benefits of accommodating truck parking through land use controls. As I review this current short list I want you all to know that these topics have been brought up. The amount of discussion per topic was limited. There were about ten people per table and only a few of those had anything to say. My overall impression from those who were engaged was that picking up and delivering a load was no different than the logistics behind leaving home to catch a flight at the airport. “All you have to do is plan” was the attitude. The use of Apps on the phone seemed to be the answer. “Wait a minute, WE are not permitted by law to use the phone while driving”. We are permitted by law to use our Qualcomm’s, E-Logs or ELD’s while driving. Since these devices know our exact location, why can’t they be used to relay the availability of parking? These boxes also know the Drivers available hours so they can actually prioritize which Drivers need parking the most. Of course that means Drivers will be placed in the nearest available spot irregardless of the Drivers wishes. Pokey Man parking was the concept that brought this to the table. An available spot is announced over several apps. Now the race begins! Who will get there first and who will run out of hours chasing the illusive spot? Pop Up Parking was suggested to attempt to utilize unused industrial sites as temporary parking facilities until they are sold or repurposed.This is doable as there are many unused Cross Docks and such that would be ideal for parking EXCEPT they don’t offer any facilities. Electronic signs could be used to direct Drivers to these parking facilities but when they are no longer available how many Drivers will still attempt to park there, ESPECIALLY if they are out of hours. This is a logical solution but it needs work. Parking in industrial ares should be more readily made available. Parking meters on the wider streets instead of “No Parking” signs for example. I think we need to address industrial areas and warehousing districts that are on the drawing table before they are built. Planned parking needs to be considered before construction. It is obvious that a “Pay to Park” system is on the rise. ELD’s and Speed Limiters will make the parking dilemma much worse than it already is. I have suggested a “Commuting Clause” to replace the restrictive personal conveyance guideline. The ELD would permit this type of regulation to be feasible per the GPS capabilities of the ELD. It would be easy enough to prove that the Driver was not progressing the forward movement of the load as they are only “Commuting” to a parking space, restaurant or grocery store to do some shopping. Trucking Advocates- We can ALL have a voice! Drivers, YOU haven’t “elected me to speak on your behalf” and you are not paying me to represent you. I have only accepted these invitations to attend these Listening Sessions as We Drivers Need to Have a Say. Doing so is very costly and takes up a lot of time for Drivers such as myself and Desiree Wood of RWIT. We are doing the best we can to attend these meetings and WE NEED YOUR INPUT! Allen Smith has created a list of the MPO’s per state so that we may make it available to you so that YOU MAY COMMENT. Hope Rivenburg is taking time off work and at her expense, once again, as she will be in attendance. 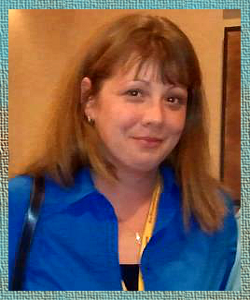 WE OWE THIS WOMAN a debt of Gratitude that we can repay by getting involved so that Jasons Law will not fade away due to lack of participation. Hope Rivenburg, Jason Rivenburg’s widow, should be an inspiration to US ALL as she has proven that “There Is Something WE CAN DO ABOUT IT”!!!! !